The ‘Year of Zayed’ will mark 100 years since the birth of the nation’s Founding Father, and celebrate his many achievements. This year, we’re all about encouraging generosity here in the UAE. And the theme that will surround 2018 has already been announced, with the next year set to be dedicated to the Emirates’ Founding Father. Since 2018 marks 100 years since the birth of HH Sheikh Zayed Bin Sultan Al Nahyan, the year will celebrate the late founder’s vision and successes. The theme was announced by HH Sheikh Khalifa Bin Zayed Al Nahyan, President of the UAE, on the anniversary of Sheikh Zayed’s Accession Day (when the royal took leadership of the government in Abu Dhabi). “The Year of Zayed is a great national occasion when we will proudly share memories of the life of the Founding Father, Sheikh Zayed bin Sultan Al Nahyan, and his gift to us of deeply rooted values, principles and traditions that have become part of our Emirati identity,” said President Sheikh Khalifa over the weekend. HH Sheikh Mohammed bin Rashid Al Maktoum also paid tribute to the Founding Father over the weekend, describing him as a man who will “inspire generations for hundreds of years to come”. “A hundred years have passed since the birth of a leader, a father, a builder of a nation and the founder of a state,” said HH Sheikh Mohammed bin Rashid Al Maktoum following the announcement. While the year will celebrate Sheikh Zayed’s role in making the UAE what it is today, residents will also be encouraged to echo the founder’s values, including those of wisdom, respect, determination, and loyalty. Throughout the year, initiatives will be established that mark Sheikh Zayed’s pioneering spirit, vision for the UAE and his leadership. HH Sheikh Mohammed has called for a framework to be established for such programmes, so we’ll bring you more on what to expect from 2018 when we have it. As an example, the Year of Giving (of which we still have five more months to celebrate) has seen the launch of the UAE Food Bank, a national volunteering scheme, and plenty of do-gooders paying it forward to the country’s people. According to HH Sheikh Mohammed, some of those initiatives could be rather forward-thinking, as the ruler of Dubai cited the UAE Centennial 2071 as something inspired by the Founding Father. “Sheikh Zayed has instilled in us the willpower and determination to challenge and achieve the impossible,” Sheikh Mohammed said of the plan to make the Emirates the “best country in the world” by its centennial. The year will also celebrate tolerance, according to Abu Dhabi’s Crown Prince, HH Sheikh Mohammed bin Zayed Al Nahyan. “The UAE’s image is founded on a core belief system of tolerance and coexistence,” he said. 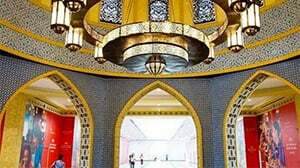 “The late Sheikh Zayed established a global school of tolerance and coexistence because he knew that from the Union’s beginnings, the UAE’s uniqueness lay in its ability to welcome different races, religions, and cultures without abandoning its social and cultural identity. – He was born in 1918 to the Bani Yas tribe in Abu Dhabi. – Sheikh Zayed bin Sultan Al Nahyan became the president of the UAE in 1971, a role he maintained until he passed away in 2004. – He became the governor of the Eastern region of Abu Dhabi in 1946. – Zayed was known as an early promoter for the region of freedom of worship, allowing expats to openly practice their own religions while living in the UAE. – His father was the ruler of Abu Dhabi from 1922 until his assassination in 1926. – When Sheikh Zayed was growing up he had no access to traditional education, but he did learn about things like Bedouin survival skills from his elders.